Here is what I won/received/purchased over the past week! A banner ad worth $25.00 from Creations By Kendra from Bitten by Books' My Bloody Vampire month long event! I'm hoping I can have this banner designed as a header for my new Christmas blog! Every Sookie Stackhouse short story ever written - in one special volume - from the New York Times bestselling author. 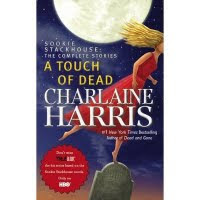 New York Times bestselling author Charlaine Harris has re-imagined the supernatural world with her 'spunky' (Tampa Tribune) Southern Vampire novels starring telepathic waitress Sookie Stackhouse. Now, for the first time, here is every Sookie Stackhouse short story ever written - together in one volume. No Wind of Blame by Georgette Heyer from a prize pack I won in the BBAW's Hunt Through History Scavenger Hunt (I thought), but that book was supposed to be The Foundling. Oh well! 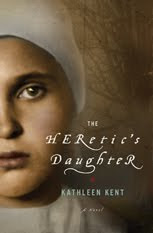 Tragedy befalls the Carter family following an eventful visit from a Russian prince and a scandalous blackmail letter. The murder of Wally Carter generates a bewildering mystery - how does one shoot a man crossing a narrow bridge without being near the murder weapon when it is fired? The superlatively analytical Inspector Hemingway reveals his unnerving talent for solving a fiendish problem. When Evan Darling realizes that his children have become so focused on gifts that they've completely lost sight of the true meaning of Christmas, he knows he has to do something to help them see the wonder of it all. As a blizzard rages, Evan sits the family down and tells them the extraordinary tale of a young boy's magical experience during another blizzard long ago. When that boy was ten years old, he, too, thought Christmas traditions were pointless and dumb. The only thing he liked was the music. But when a magical snow globe opened his eyes to the magic of Christmas and the perils of greed, he found himself waging a dramatic battle to save Christmas for all time. It's time for Evan's children to learn the story of that brave young boy and to discoverthe mystery of his identity, for it is the story that inspires Evan himself to hold Christmas so close to his heart. Can you believe it? I didn't buy anything! I feel the withdrawals coming on...LOL! **All synopses from Fantastic Fiction unless otherwise noted. 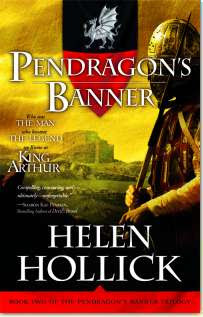 I really loved Pendragons Banner when I read it! I hope you enjoy it too! I apologize for the delay but your book was put in the mail today. You should get it in a few days..
Good stuff. I received a Georgette Heyer and never had read her. Enjoy your books!